Hello Everyone, Jess here! Today I present an informal Adobe Illustrator Demo of me vectoring a character image. I follow the exact process I use when doing any official work for The Taffetas, and talk about intermediate tips and tricks in Adobe Illustrator. This is my first time creating a video demo/tutorial, or dealing with video at all. Tell me what you think in the comments below! Adobe Illustrator Vector Demo from Yesenia Carrero on Vimeo. We love giving back to you all, our readers and supporters. 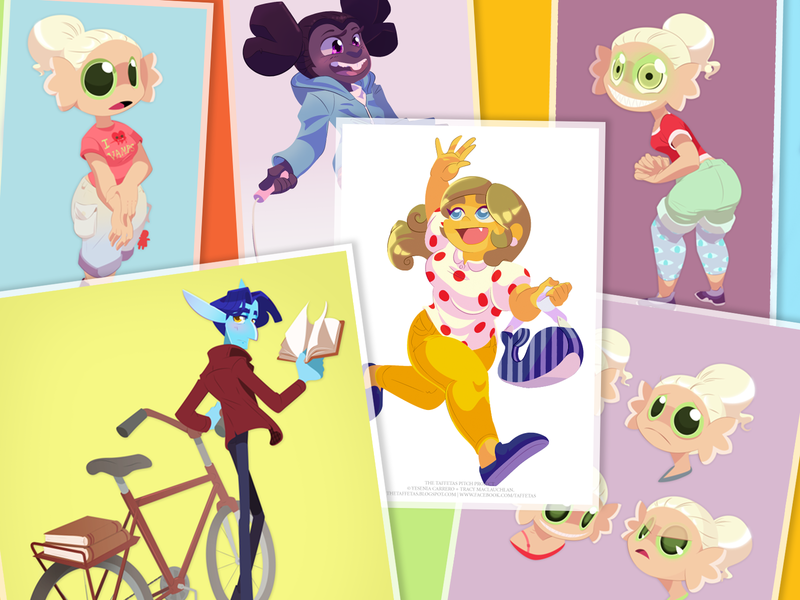 Check out our other insight posts, like drawing characters and Sharing your IP online . Or just take a look at our master list of insight posts on our tumblr. What did you think about this live demo? Should we do more? What subjects would you like to talk about next? Leave your thoughts in a comment below or contact us through facebook or tumblr! Thanks!